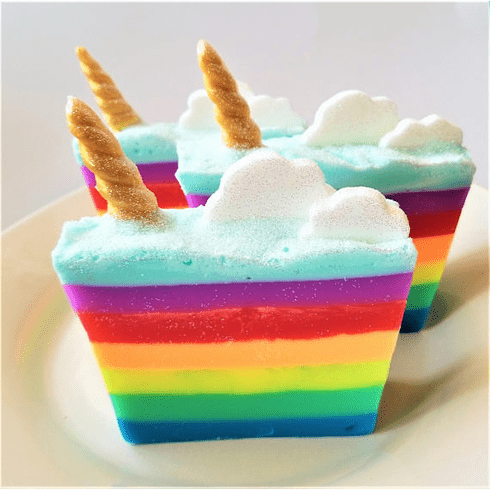 The adorable rainbow and unicorn soap is scented in a berry and fruit fragrance. It is topped with two glittery clouds and a glittery horn. Made with pure vegetable glycerin soap and contains no harsh chemicals or detergents. Vegan. Weighs approximately 5.5 ounces and is ready to be given as a gift. Will make an excellent addition to any rainbow or unicorn themed party. Discounts when ordering 10 or more.